There’s a meme that does the rounds of the internet that says ‘Motherhood. Powered by love. Fuelled by coffee. Sustained by wine.’ We love it as it isn’t too far from the truth. If you want to know where the good coffees are in the Hills, just ask a mum! The cafes of the Hills have really flourished over the past couple of years and now we’re fortunate to have many sprinkled throughout the area that do a seriously good coffee. 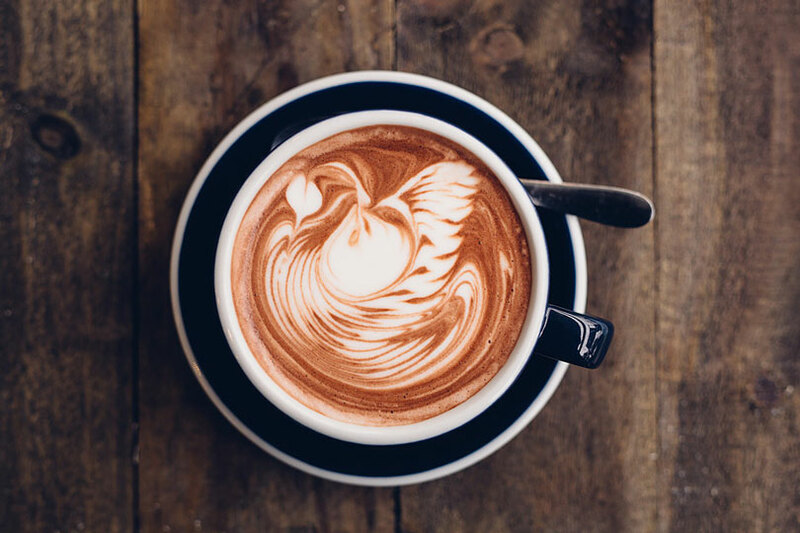 We’re sure there are lots more, and the ‘best’ coffee is certainly a subjective term, but here are a few of our favourites for that hit of liquid gold coveted by so many mummies! A couple of caveats on this list – a lot can come down to the barista on the machine at the time. While some of those listed below serve up a great coffee 98% of the time, there’s still a very slim chance that something goes awry on that particular day – and how bloody disappointing it can be when it’s luke warm, burnt or too milky! Also, we don’t declare this list to be the full and complete list of every cafe in the Hills, so we apologise in advance if your favourite is missing. We have a soft spot for Long Shot – this was the venue of many a mother’s group catch up and you could say it was the birthplace of Hills District Mums. They do a great Morgan’s coffee with lots of freshly baked treats and more substantial breakfast, brunch or lunch meals too. It’s always good. Shop 18, 6-8 Hannah Street Beecroft. Wolfe & Co is firmly entrenched as one of the Hills’ best cafes! Great coffee, pretty as a picture food and some serious stylin’ make this a very pleasant place to visit! Read more about Wolfe & Co here. 538 Old Northern Rd Dural. It’s pretty darn trendy but very down to Earth and friendly. Cool décor is married with good coffee and food. Located outside Castle Towers. Shop 461, 6-14 Castle St. This wholefood café offers fair-trade coffee and it’s really good. It’s right next to Dan Murphy’s so you have the whole fuelled by coffee and sustained by wine thing sorted! Cnr Cecil Ave & Old Northern Rd Castle Hill. 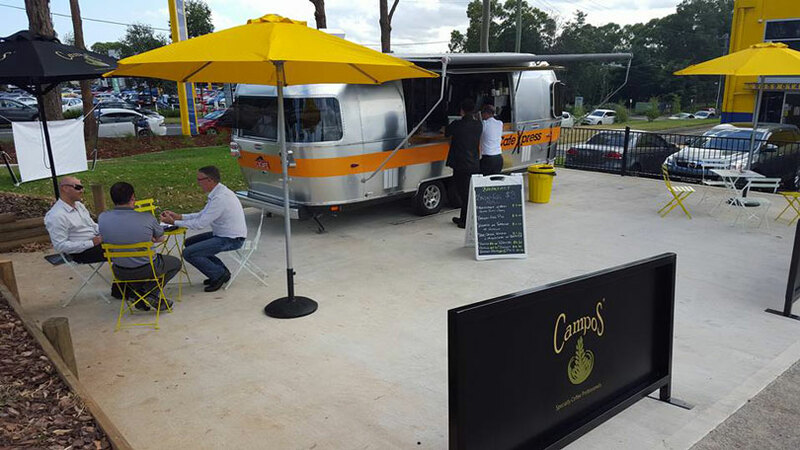 Serving our favourite Campos coffee, we spend far too much time here! Love the coffee and the relaxed feel. It’s become a firm favourite among locals and with good reason. 346 Galston Rd Galston. It’s bright and sunny, fun and funky, and there’s good coffee to boot. Sit in the little courtyard or grab a take away and head over to the park. 78 Glenhaven Rd Glenhaven. If you’re in the Home Hub then you often require a coffee to recharge or to ponder a serious furniture purchase. Or at least that could be your excuse for a pit-stop at this island cafe. The pops of yellow in keeping with the name are cute, the coffee is excellent and their almond croissants are delicious too! 16 Victoria Ave Castle Hill. This little family run and owned cafe at Round Corner shops has gone from strength to strength after it’s mini re-furb a while back. Locals love it for its great coffee (it’s strong, so be prepared), food and sweet treats, as well as friendly, fast service. 494 Old Northern Rd Dural. This is a newcomer located directly below the Spotlight on Victoria Avenue, Castle Hill. The coffee is spot on, potentially one of the best in the Hills. 12 Victoria Avenue, Castle Hill. Brand new, this cafe that serves a good Campos coffee is getting ticks of approval from mums in the Hills. This is a frequent pit stop when at Castle Towers. Located on the ground floor outside Aldi, we have never been served a bad coffee here. Another newcomer, this cafe is located on Level 2 of Castle Towers outside David Jones. They do a great Campos coffee. The cafe at Mint Fresh IGA at the Arthur Street Shops Baulkham Hills is constantly busy. They too serve Campos coffee and if you have a coffee machine at home they actually sell the Campos beans – 1kg for $40. 30-32 Arthur St Baulkham Hills. This pretty little hole in the wall cafe located right next door to Harris Farm Markets Pennant Hills does a fabulous Campos coffee. Read more here. Pennant Hills Marketplace, Hillcrest Rd Pennant Hills. This cafe located in the Ponds Shopping Centre is a local favourite and worth a visit. Shop 12, Cnr The Ponds Boulevard & Riverbank Dr. This shop is always bustling and, while they have a focus on Vietnamese dishes, they also happen to do a good coffee. Again, it’s Campos beans and they do a great job with them. Shepherds Dr Cherrybrook. We grab a coffee here once a week. It’s a bit of a favourite among mums. North Rocks Rd North Rocks. Tucked away around the corner, Oliver Brown Carlingford does a good Campos coffee. And if you’re lucky and the store manager serves you, she also does a super cute babycino! Cnr Pennant Hills Rd & Carlingford Rd. A barber shop and café in one – yep, that’s right. This ultra trendy café mixes haircuts and coffee and they do a great job at both. 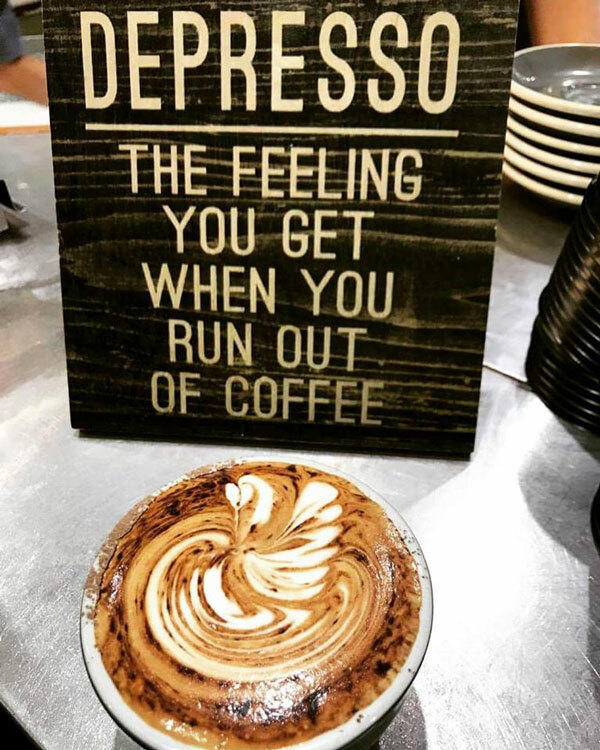 And it’s right next door to a play area in the Rouse Hill Town Centre so you may even get a chance to enjoy your coffee in peace and quiet…..maybe. Market Lane Rouse Hill. 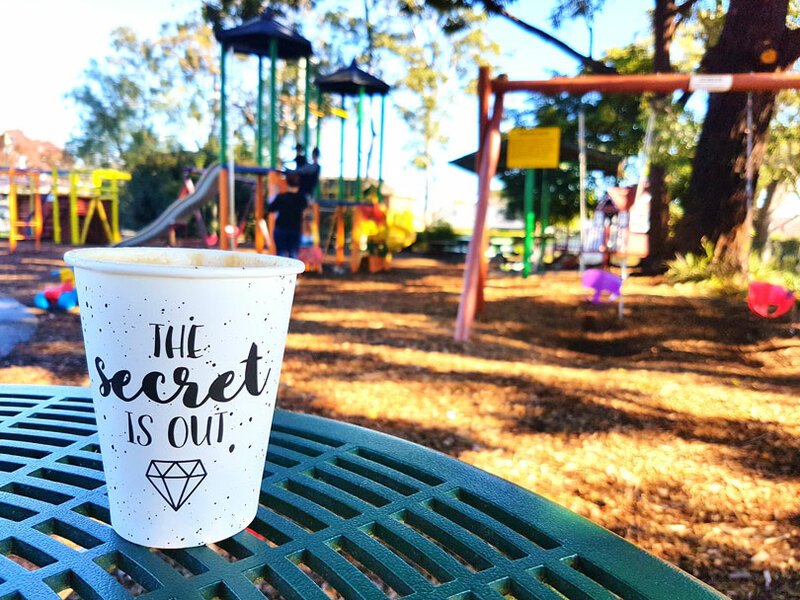 Really good coffee, easy parking and a play area – it’s a mum’s dream come true! No wonder it’s consistently packed. This one also ticks the boxes for coffee and a shop. 90 Wrights Rd Kellyville. This revamped cafe is a great little find and we enjoy a take away Toby’s Estate coffee over at the great park opposite. The cafe itself has lots of space for prams, a kids’ table and the parking is easy. 4 Nelson St Kenthurst. This little hole in the wall serves a great Campos coffee and it goes really well with their yummy sour cherry and almond bread! Also, it’s just across the way from the little train station park and The Children’s Bookshop. Read our article here. Shop 28, 6-8 Hannah St. This reincarnation of the previous cafe is doing great. Not only do they serve a good coffee they have an indoor play area! 609 Old Northern Rd Glenhaven. The Local Shed Cafe is located at historical Mungerie House Rouse Hill. There’s a little playground right next door! Win, win for everyone! 16 Bellcast Rd Rouse Hill. Coffee vans are increasingly popular and it’s great to see several catering for busy families in the Hills. They’re meeting us at chilly sports grounds and in some cases, they’re so accommodating you don’t even need to leave your vehicle – perfect if you have kids strapped in seats, you’re in a rush or it’s raining! This is a mobile coffee van that we frequent on Pennant Hills Road outside the Roselea Community Centre. They do a Morgan’s Coffee and it’s really good. Mums will often line up as their kids are in doing the Tiny Toes Ballet classes. You can also drive up so you don’t have to get the kids out of the car! And they’ve just opened outside the Dural Squash Courts on Old Northern Road too! The Chief is a relative newcomer to the scene but he’s got quite a following, catching the tradies and commuting early birds from 5am and then the school mums. This is one where you drive through, so no need to get out of your pjs if you don’t want to! 260-266 New Line Rd (outside the golf range). Ok, we have to declare that one of our close friends, who is also a member of our HDM admin team, owns this business. But she’s a top chick, a great coffee maker and we love her coffee van stories, so she’s on the list! You’ll see her dashing around the Hills and at various community and sporting events.